Following on from the ‘cash ban’ on all scrap metal transactions that was introduced last December, the scrap metal industry is now facing more legislative changes. The changes, to be introduced on 1st October 2013, are changes to the former 1964 Scrap Metals Dealers Act. The new Scrap Metals Dealers Act 2013 will now mean that any person looking to legally complete a scrap metal transaction will have to take proof of ID, amongst other documents. These new legislative changes, along with the cash ban, are measures put in place in an attempt to stem the growing numbers of rogue traders that are now infiltrating the industry. Scrap metal theft affects everyone – from the theft of cables that delay trains to the theft of copper from church roofs. Furthermore, it takes up a lot of police time and resources. Reported scrap metal thefts now exceed 1,000 per week and cost the UK around £220 million every year. As leaders in the scrap metal industry we are keen to support such measures and would urge all of our loyal customers to follow suit. 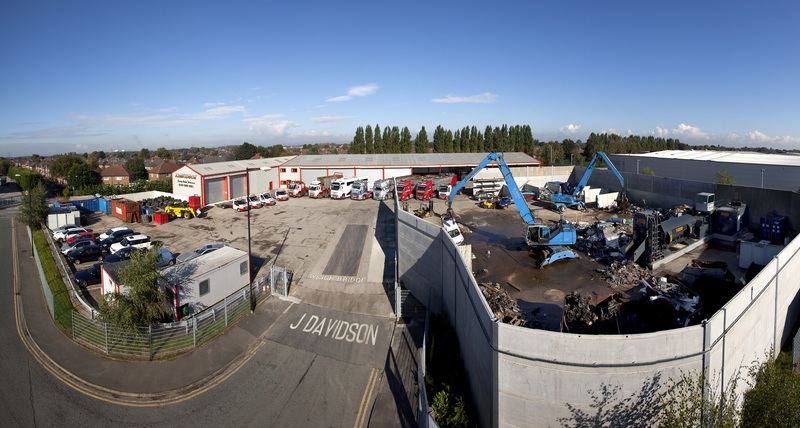 At J Davidsons Scrap Metal – Manchester, scrap metal recycling is at the core of our business and we strongly support any changes that will benefit the industry in the long run. Although these are measures we already have in place we feel, as industry leaders, it is our duty to educate our customer base on all future legislative changes so they are also up to date with where the industry is today. For the best prices on your scrap metal and end of life vehicles across Manchester and Cheshire call J Davidson Scrap Metal – Manchester, on 0161 928 9981. Like us on Facebook and follow us on Twitter for all our latest news, events and offers. This article was posted in Scrap Metal, Scrap Metal in Manchester, Scrap Metal Processing, Scrap Metal Processors and tagged Scrap Metal in Manchester. Bookmark the permalink. Follow comments with the RSS feed for this post.Both comments and trackbacks are closed.